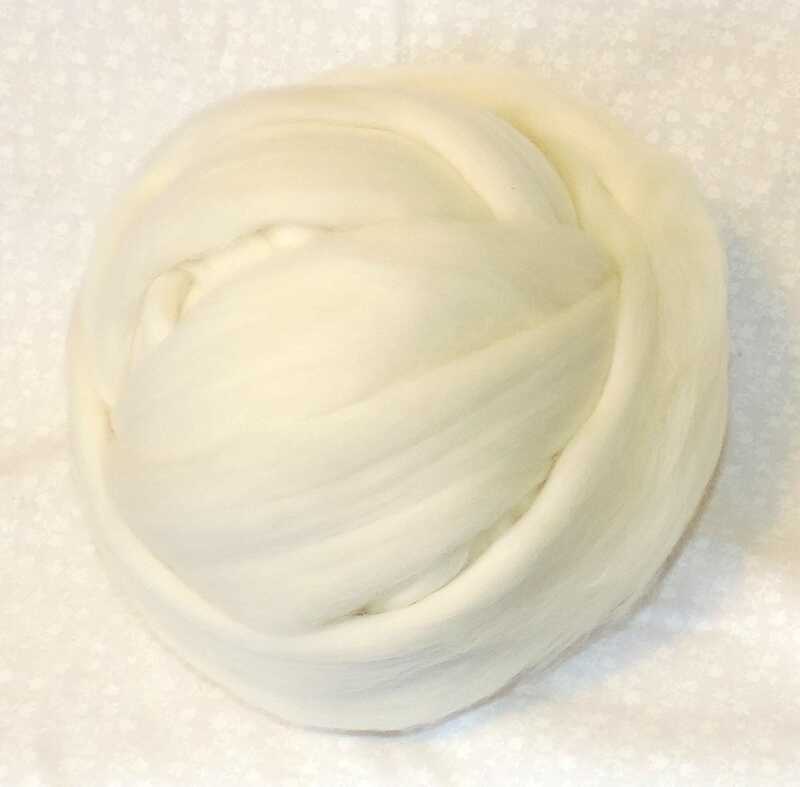 Felting wool creamy white roving for needle or wet felting or chunky, jumbo yarn. Easy to work with and felts nicely. This is a domestic blend of wools made for felting, blending or spinning. Also takes dye beautifully. Natural, unbleached, off white roving. Takes dye beautifully also. I use this roving for dryer balls, making miniature figures, pumpkins, gnomes and felting soap. Also great for spinning, blending, dying, wet and needle felting, arm knitting, and more!